My father, Warren Pritchett, 55, was killed in Dover, Delaware, on Nov. 20, 2002, the victim of a vehicular homicide. His killer is Gregory L. Keiser, of Hartly, Delaware. Keiser’s DOB is 2/23/59, and his license number is 301361. Dad was riding his bicycle eastbound on an open road on a clear, sunny day, in total accordance with the law. Keiser, who was also eastbound, driving a tow truck, plowed into my father from behind, throwing him 112 feet. My brother happened upon the scene, saw police cars and an ambulance, and spotted our father’s jacket on the side of the road. He jumped out of his truck and tried to run to our father, but the authorities restrained him. My brother phoned me at work, frantic with worry, and I got to the hospital so quickly that I beat the ambulance. Ironically, my mother was already there as a patient, having had a knee replacement the day before. I was the one who had to go up to her room and tell her that Dad would not be there at visiting hours. Her childhood sweetheart and beloved husband of 35 years was dead. Family members began to congregate, and we all went down to the chapel, where we met with Sgt. Jahn Hitchens and Corporal Mark Groce from the Delaware State Police FAIR unit. They were the ones who informed us about the identity of Dad’s killer. My first reaction was to feel sympathy for the man who would have to live out his life with Dad’s death on his conscience. That changed the following day when I learned more about Gregory Keiser. Dover is a small town where everybody knows everybody else. My aunt, who went to high school with Keiser, demanded to know if he had been tested for drugs. I called Corporal Groce and asked if they had done drug tests, and he told me no, that there was not probable cause, and testing Keiser would have been a violation of his rights. When I told Corporal Groce that it had been brought to my attention that Keiser was a drug user, Groce responded, "We know who he is and what he is." I asked him point blank, “You know that he uses and sells drugs, and that's not probable cause to test him?” “That's right,” Groce told me. “That's the law.” I find it hard to understand why they were able to check his blood alcohol level (he volunteered to be tested because he was not intoxicated) but were unable to check for the substance he was known for abusing. On Dec. 6, 2002, we went to court for the preliminary hearing. Keiser was standing outside the courtroom, chatting with friends. As my aunt passed by, she overheard him proudly proclaiming, "I've done worse than this and got off with it!" She looked at him and said quietly, "You couldn't have done anything worse than this." The commissioner found “probable cause,” and we were informed that the next step would be for the case to be heard by a Grand Jury. Then, all of a sudden, the whole thing simply evaporated. Out of the blue, we got a phone call telling us that there would be no hearing and the charge against Keiser had been reduced to “careless driving.” Everything was over, allegedly due to a lack of evidence to indicate that Keiser’s actions were “a gross deviation of what a reasonable person would do in the same situation.” This decision was made at a "Fives Meeting" where the top DAs for the State of Delaware met to review cases. 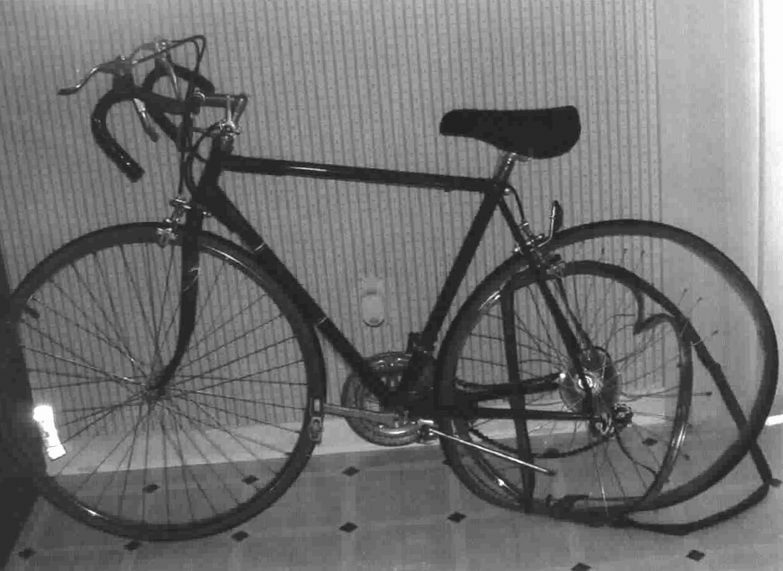 At this meeting, the prosecutor, John Garey, never presented the pictures of the bicycle, the tow truck or the scene, that were taken by the accident reconstuctionist from Delaware State Police. In fact, at this point, John Garey had not even reviewed the photos himself. A lack of evidence? There was plenty of evidence, but no one was willing to follow up on it! I’ve viewed those photos, (I wasn’t allowed to make copies,) and they show no skid, brake or swerve marks. Wouldn't a “reasonable person,” who realized he was going to hit somebody, make some attempt to stop? 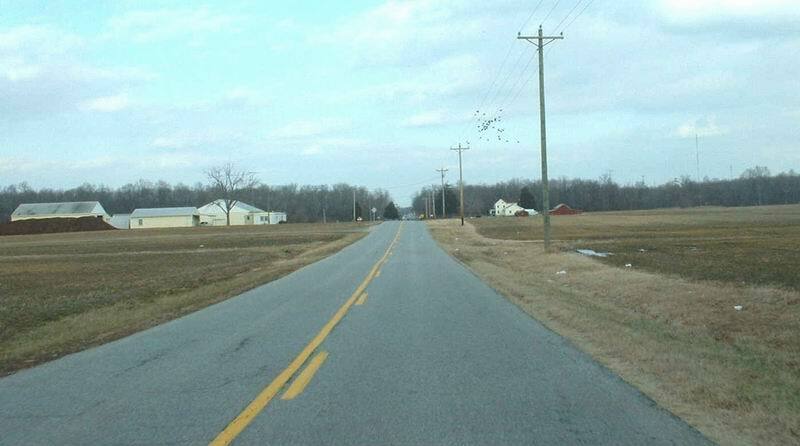 There was a witness, an engineer from the Delaware Department of Transportation, who saw the whole incident. He first passed my father on his bicycle and then passed Keiser and got an eerie feeling that Keiser was going to hit my father because Keiser was riding too close to the edge of the road. The prosecutor never spoke to that witness. Why not? 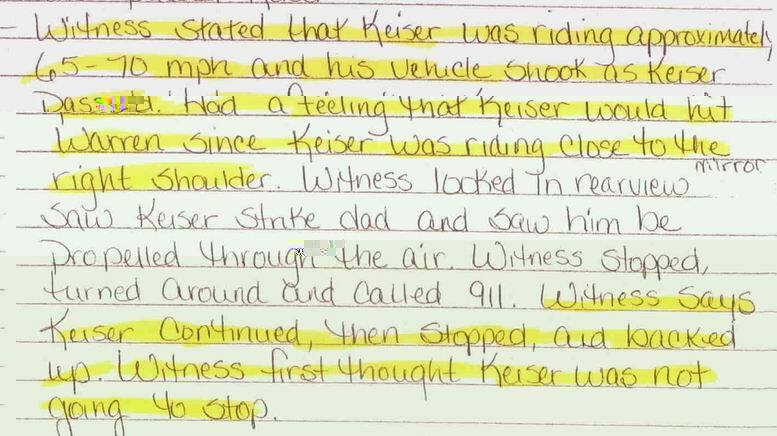 (Maybe because police were contending that Keiser was driving 46 mph, and the witness said he was going at least 65-70 mph?) . I’ve also learned that, when Keiser struck my father, Dad landed on the hood of his truck, and he drove most of the 112 feet from point-of-impact to Dad’s final resting place with my father on his hood, before my father rolled off the side of the truck, breaking the sideview mirror. How do you not notice a person on the hood of your truck?!!! Wouldn't a “reasonable person” stop, instead of waiting for the body to roll off? I’ve asked to review the reports of the two State Troopers who were the first officers at the scene and have been told that they didn’t bother to file reports. If they didn’t file reports, they ought to be fired! And there’s something else our family has learned since the “accident.” Three different people at DE State Police, including Captain Bob Hawkins, have told us that Keiser has worked for the police as an informant. I tried contacting Attorney General M. Jane Brady about this, and after repeated attempts, I finally got her to agree to a meeting. John Garey was also at this meeting, although my complaint was about him and his lack of thoroughness in the presentation of ALL of the evidence. Attorney General Brady stood by her office's decision to reduce the charges to a simple driving violation of careless driving. I contacted the Governor's Office and was passed from person to person until a representative from that office finally told me that, depending upon how long Keiser’s been an informant and how many cases he's helped them with, the State Police have a right to protect him. Apparently that’s one of the perks for being a snitch. Keiser is currently reveling in the notoriety Dad’s death had brought him. He is going around bragging, "I had that man's brain matter all over the front of my truck!" 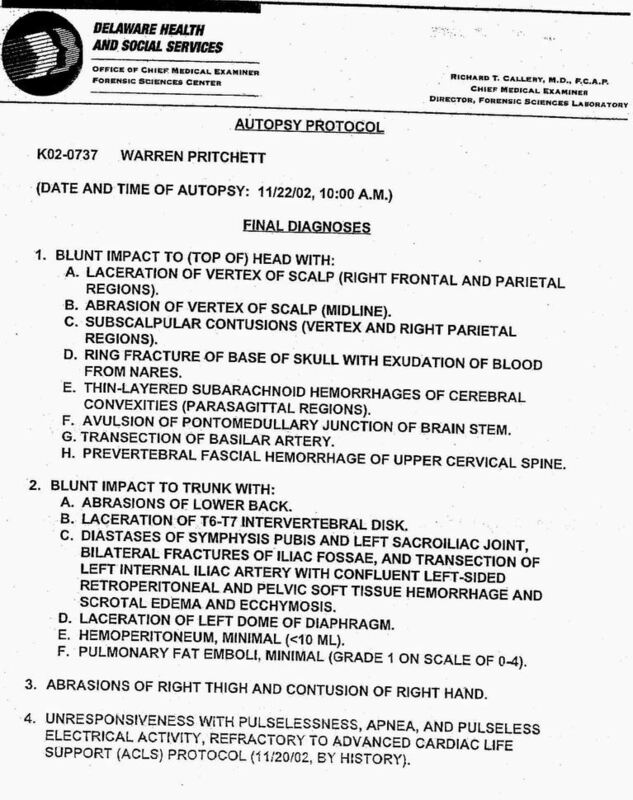 I‘ve read the autopsy report, and from the description of my father’s injuries, that’s a definite possibility. The medics had to pick blades of grass out of Dad’s brain. The arraignment was April 11, 2003. When asked to plead guilty or not guilty to a simple charge of “careless driving,” this monster had the audacity to attempt to avoid a $50 fine by pleading NOT GUILTY and to request trial by jury! Our family was reeling with shock. It was bad enough that we wanted a trial for “criminally negligent homicide” (the original charge) and were not permitted to get that. Now it was Keiser who wanted a trial because he didn't even think he was careless, and it was his right to be given one! On April 30, 2003, our prosecutor, John Garey, left the AG's office to pursue a career as a defense attorney with a private firm. We now had Steven Welch as our prosecutor. Keiser's attorney, Jim Ligouri, requested a postponement of the trial date until May 13, 2003. On that day my family and I arrived at the courthouse at 9 am. At 11:30, we were called into the courtroom and listened as Keiser's attorney filed a motion to eliminate from evidence the fact that my father died as a result of being hit by Keiser. Unbelievable! He stated that the charge of careless driving does not require a death and therefore my father's death should not be introduced. Keiser's attorney also wanted the State not to introduce evidence that my father's toxicology report proved that he was clear of drugs or alcohol. DA Welch argued the point, and the judge allowed him to state that my father was dead at the scene, but he could not link his death to being hit by Keiser. DA Welch also agreed not to introduce evidence that my father was not under the influence unless the defense attorney tried to say that he was. A friend of mine had made buttons for the family to wear with my father's picture on it. We were told by the victim services rep from the AG's Office that we had to remove them or it may cause a mistrial. My father is dead, his voice is not heard, and now we could not even show his face! We all reluctantly removed our buttons. At 2:00 the trial began. While making his opening remarks to the jury, DA Welch recounted what occurred that day and stated that there was a fatality. After his opening remarks, Ligouri requested a sidebar. The next thing we knew, the judge was declaring it a mistrial and dismissing the jury. Ligouri had argued the point that Welch's mention of the fatality was in violation of the motion he filed earlier. The trial has been rescheduled for June 9, 2003. I’ve spoken to Representative Wayne Smith and told him what happened to my father. He has drafted a bill for "Operation of a Vehicle Causing Death," an amendment to Titles 10 and 21 of the Delaware Code relating to vehicular crimes. Representative Smith needs a senator to co-sponsor the bill. I have repeatedly contacted my district senator, Senator Nancy Cook, and she only returned my phone call once. Unfortunately, I was not at my desk and missed her call. I have tried to contact her via the phone, email and fax, and at this point still have not heard from her. Operation of a vehicle causing death would cover situations such as my father’s and would carry a $1,150 fine and a mandatory prison sentence of 30 months for the first offense and a $2,300 fine and 60 months imprisonment for subsequent offenses. I pray that this bill goes through. It’s too late to obtain justice for my father, but it might help others from having to endure what we have. Gregory Keiser's trial was held June 9-10, 2003. Keiser was found guilty. The judge has requested a persistence report and, since he is a repeat offender, there is a possibility that he may serve jail time. The maximum he could serve is 30 days. His attorney has filed a motion for yet another new file, alleging that the jury was negatively influenced by seeing crime scene photos that showed Dad's blood on the road. On June 25, 2003, I stood before the Delaware State Senate and described the circumstances of my father's death, my experiences with the state legal system, and my desire to see some means of redress for families that, in the future, may experience the loss of a loved one under the same circumstances as my father. The Senate passed the Warren Pritchett Act by a vote of 14-3, with four abstentions. I would like to extend a special thanks to the witness in this case. If it were not for him, Keiser never would have stopped, and my father's killer would not have been caught. I'd also like to thank DA Steve Welch, who, although he got the case a little late in the game, did an excellent job presenting the evidence and showed tremendous compassion to my family. And last, but not least, a very, very special thanks to Rep. Wayne Smith. Because of his efforts there will be a new law that is applicable to future situations similar to my father's.